With due respect to the award-winning author Vikram Seth and to the creative minds at work in this autobiography, An Unsuitable Boy is not the title I would attach to Karan Johar’s book – especially since I, amongst a legion of film-buffs have seen, enjoyed, digested and re-seen several of his movies (Kuch Kuch Hota Hai, Kabhi Khushi Kabhie Gham…, Kabhi Alvida Naa Kehna, My Name Is Khan and Student of the Year, to name but a few). What makes him an unsuitable boy is a thought that would prod bibliophiles into reading his new work that has been co-authored by Poonam Saxena. 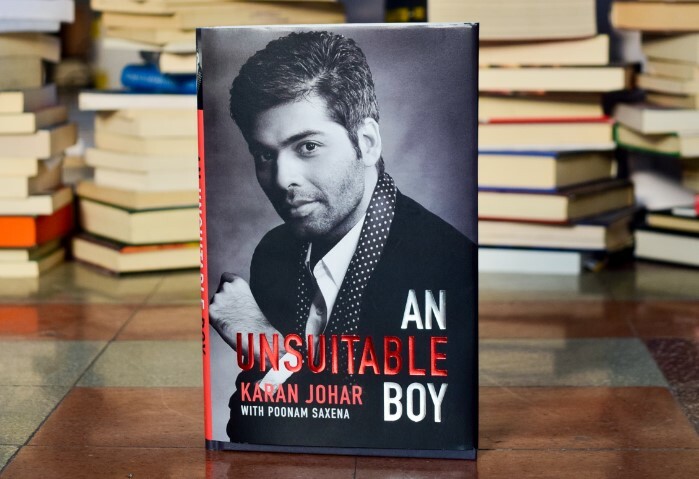 So, admitting that this review is written by a self-confessed addict of sentimental movies – particular of the K-Jo variety, I would say An Unsuitable Boy is worth a read, for several reasons. Although it is about a Bollywood boy – and Johar touches upon and elaborates on several people and incidents that are from the world of the movies – this book is not a historical treatise about Bollywood. The story – and it is his life’s tale – is narrated from the point of view of a child who grew up in South Bombay but whose life was driven by a passion for Hindi movies and one who became along the way one of the most-loved film-makers of all time. The work is packed with personal details, about relationships made and broken, love, sexuality and heartbreak, the magic of the movies – that is coloured by hits and misses. It is peopled with the friends he has made – Adi (Aditya) Chopra, Shah Rukh Khan, Anil Thadani and more. He does here what he does so effortlessly on his free-wheeling chat show Koffee With Karan. Draw you into a world filled with glamorous people – only here, he has also spotlighted heartache, heartburn and fears as well. Like most of his movies that are characterised by huge dollops of emotion and sentiment (of course, not something like his production Kaal) An Unsuitable Boy is filled with emotions – he speaks eloquently about the rollercoaster he has ridden on through his life. One can almost identify with the emotions he has experienced – the emotions he went through when (and in the period after) his father died: ‘I remember coming back to the house, and there were people I had to meet, but I just went into my room. There was a tiny closet there. I went inside, closed the door, sat down and wept. I just wept and wept. I think it is the last time I’ve ever cried like that.